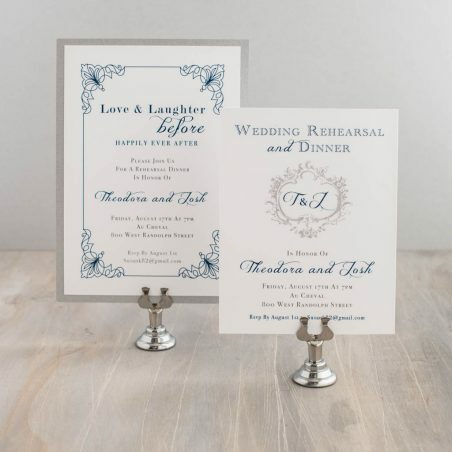 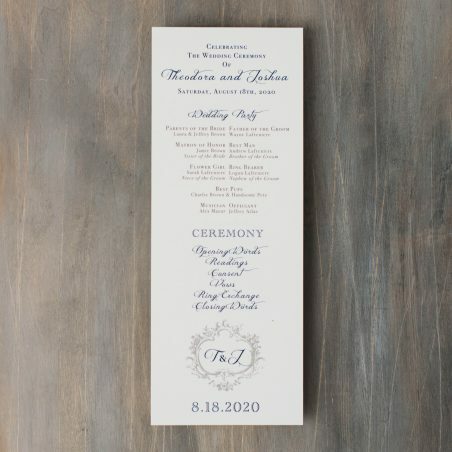 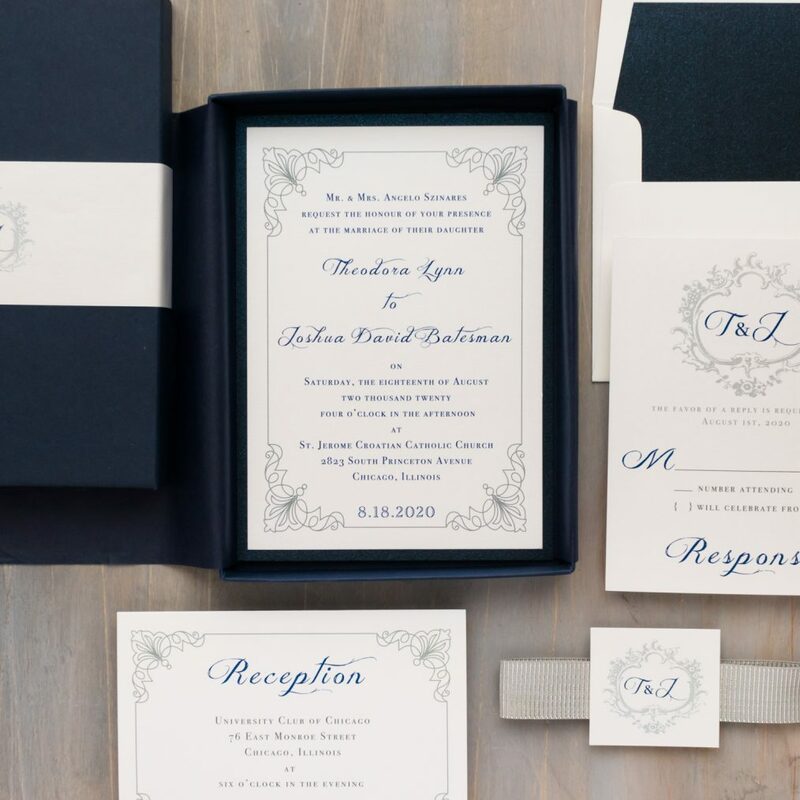 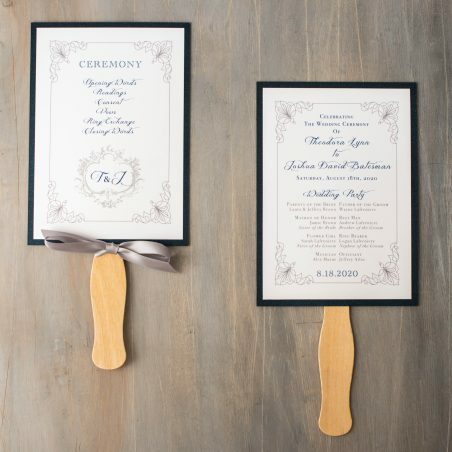 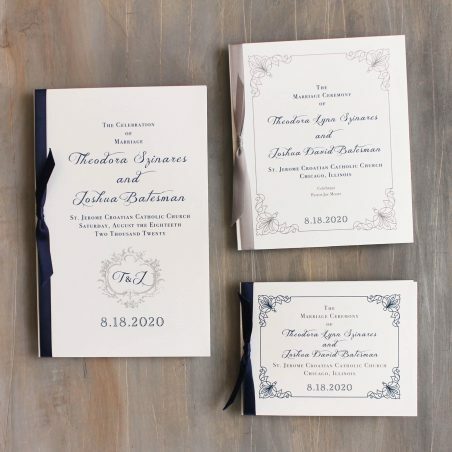 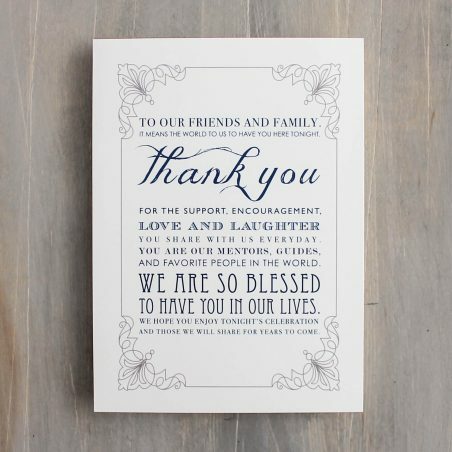 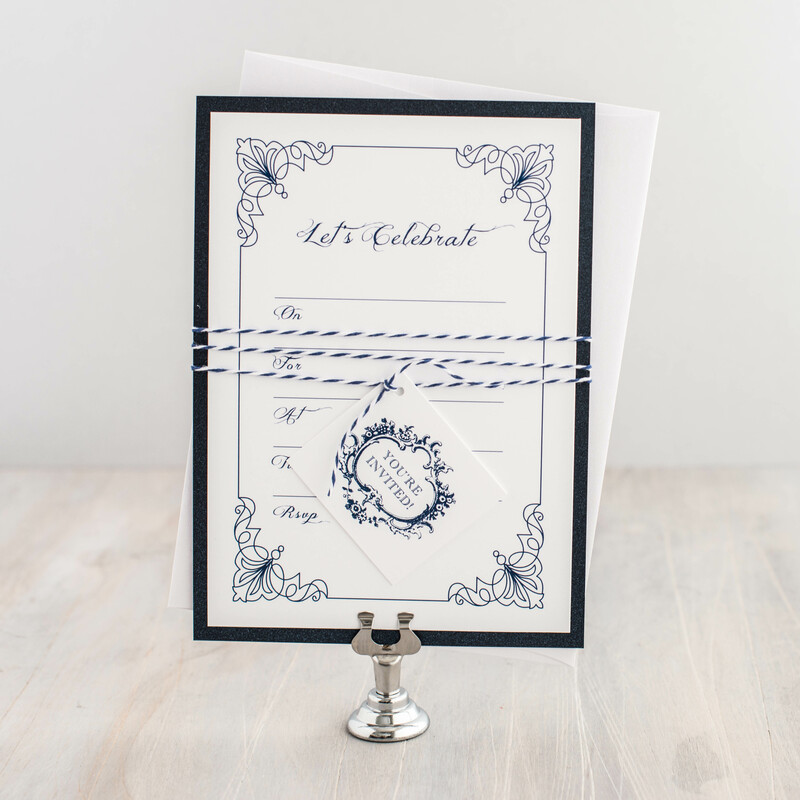 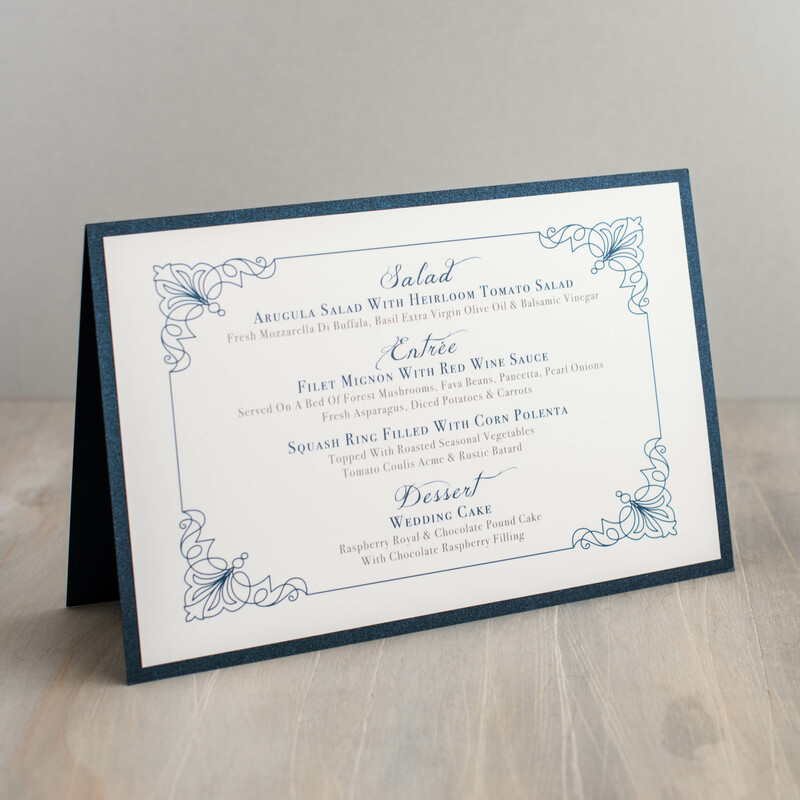 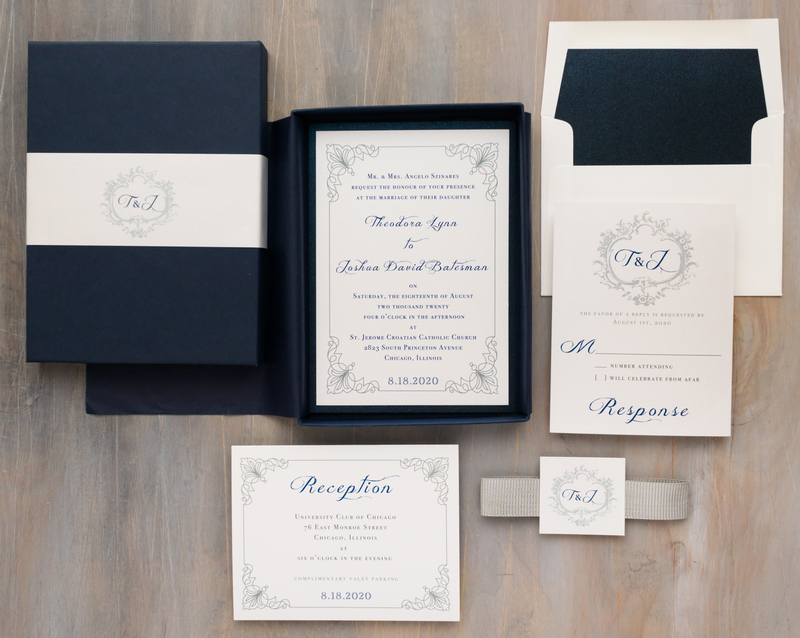 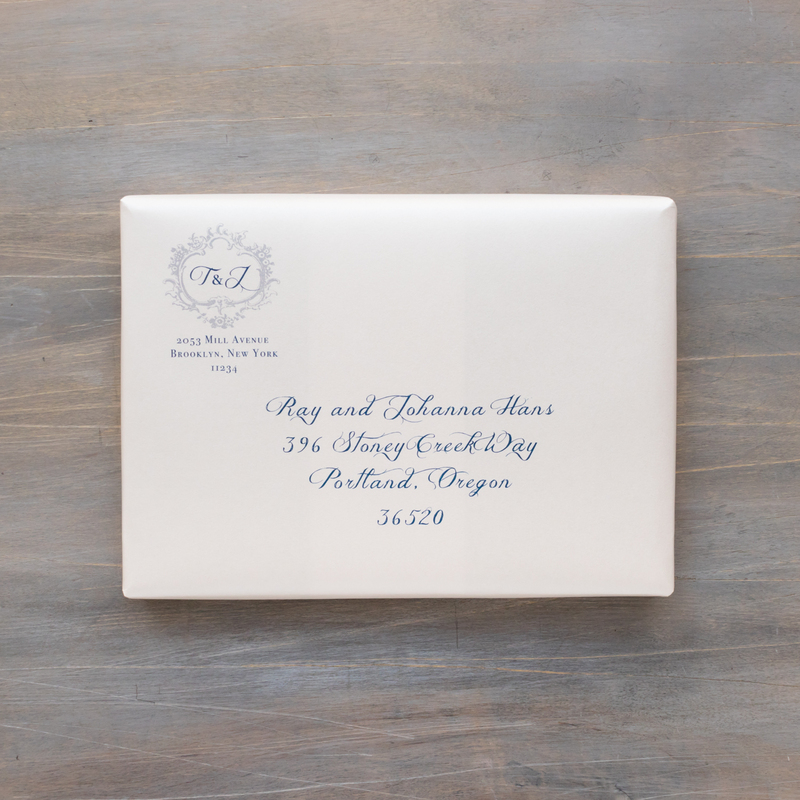 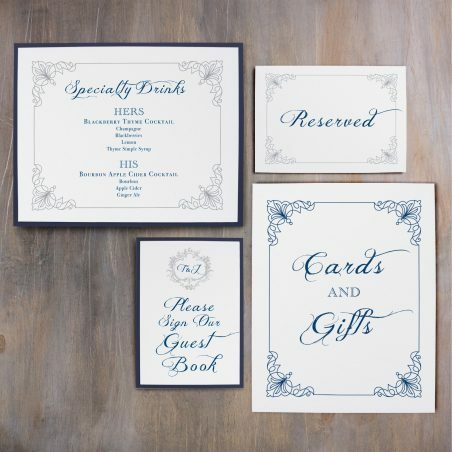 Navy & silver Classic Love wedding invitations are traditional and elegant with a glamorous flair. 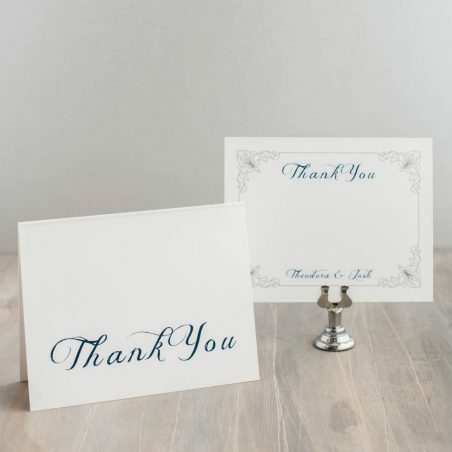 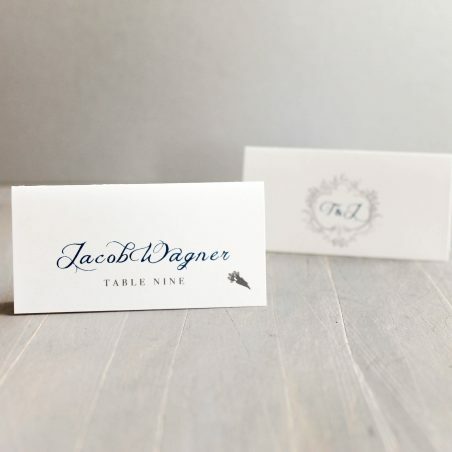 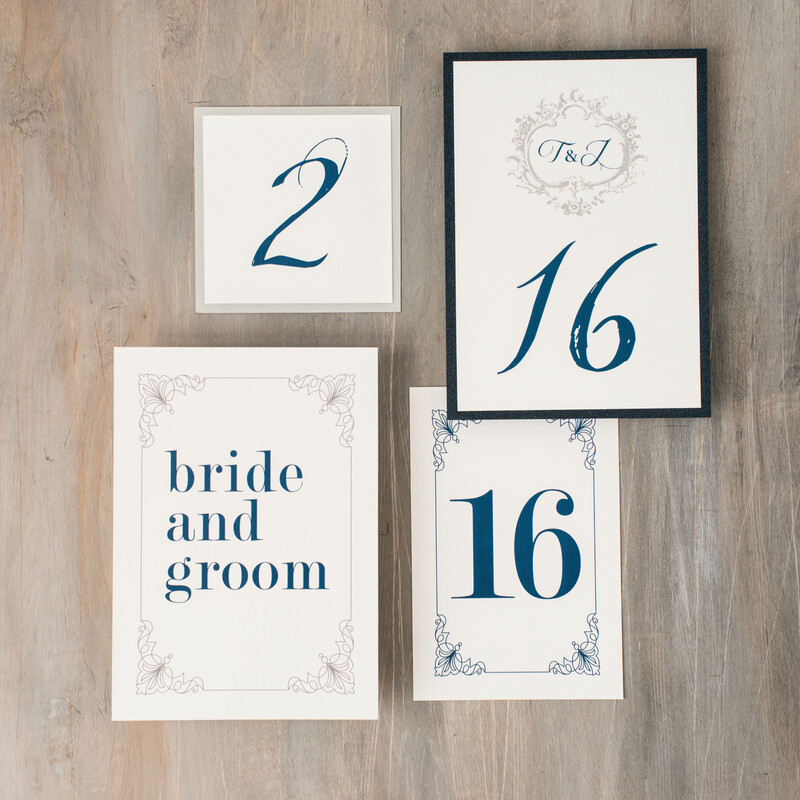 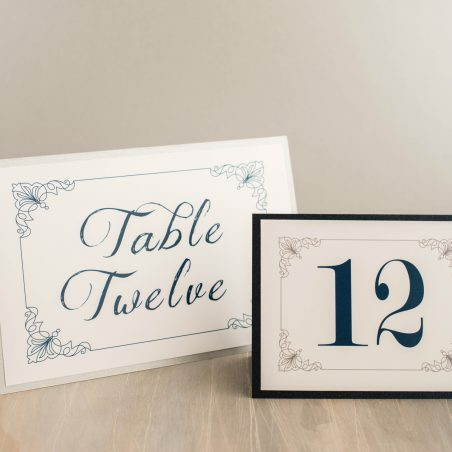 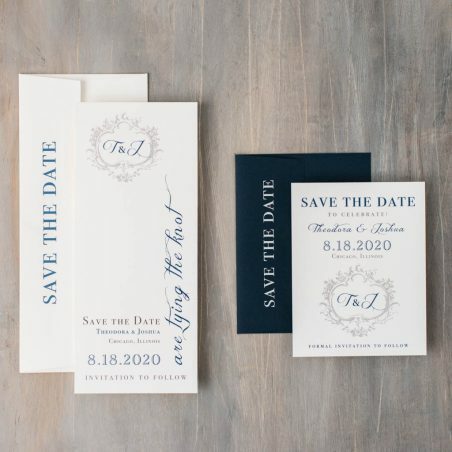 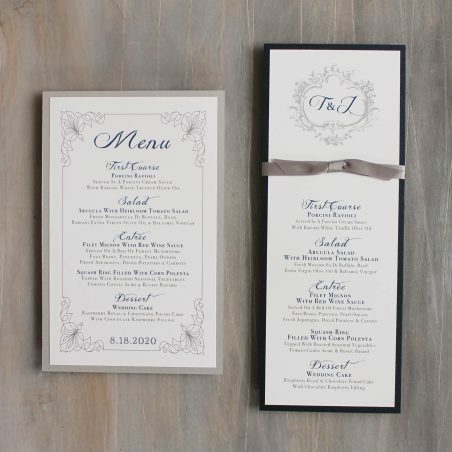 Navy, gray and ivory paired with decadent monograms add vintage touches to the modern wedding. 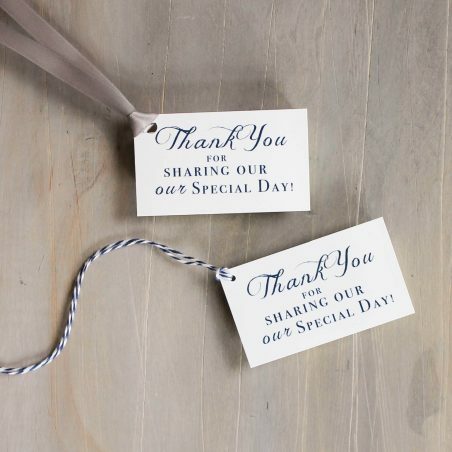 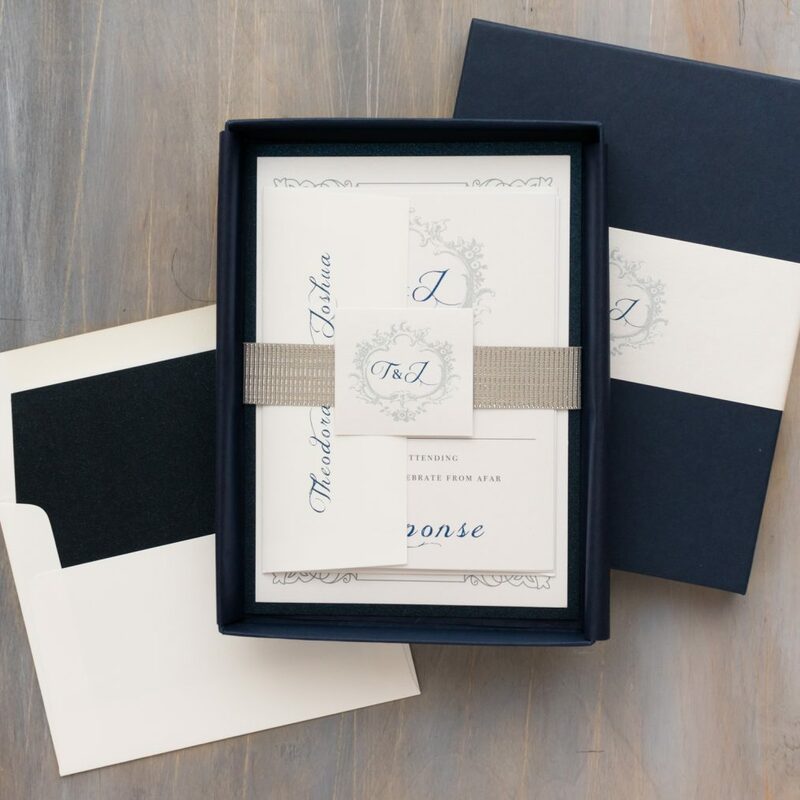 Each set is bundled with a luxe silver ribbed belly band, wrapped in navy tissue paper and then placed in a navy box. 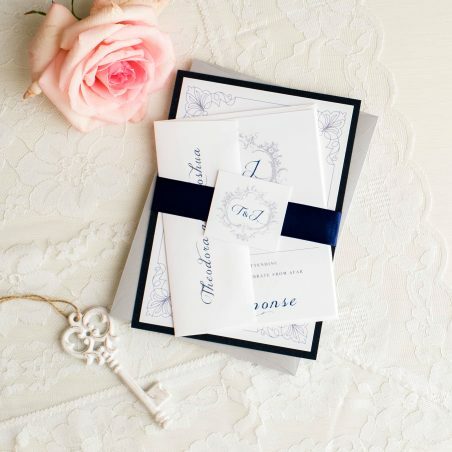 It’s like unwrapping a gift!